Showing 1 - 1 of 1 Products for Refrigerant Oil. 40.00 Oz. 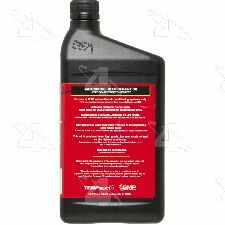 R-134a 4.06-5.07 PAG-100 When retrofitting to R134a PAG Oil must be used. Printed Foot Note: When Retrofitting To R134a Pag Oil Must Be Used.